I spent the weekend attending and speaking at the inaugural Salon LGBTQ conference in Atlanta, Georgia. My head and heart are so full right now. In some ways, speaking at this event felt like taking a first breath for me. It confirmed me. 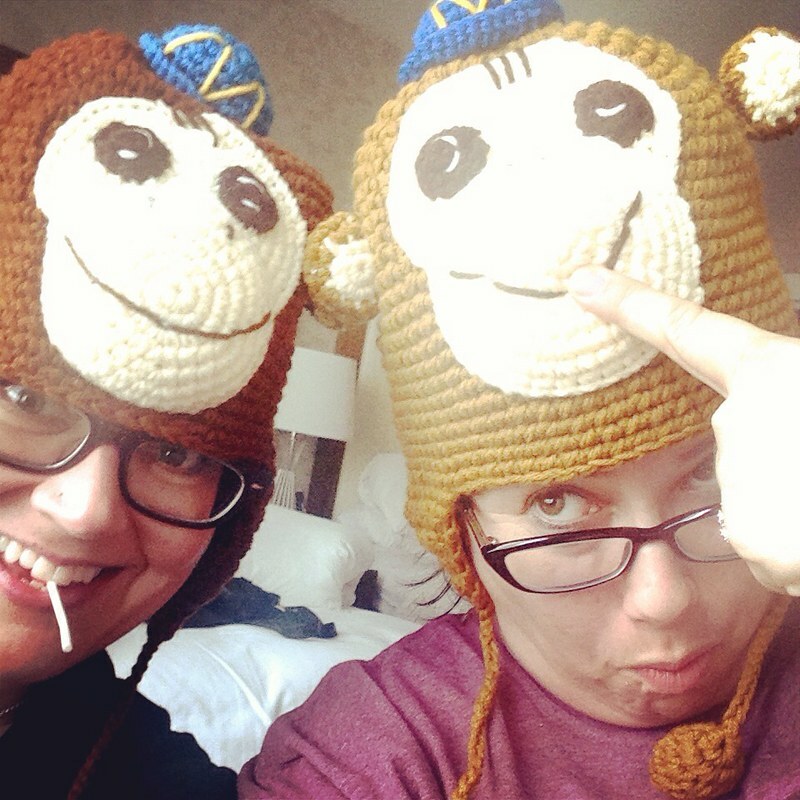 It also had me wearing Mailchimp monkey hats with my sweet roommate, Stacy. Right now, I am lying in my comfy hotel bed on my last night here in Atlanta — how is it that hotel beds always feel so damn heavenly? — and I am counting my sweet somethings that Deb, Polly, and their mighty band of conference-makers had faith enough in me to bring me on board to speak. I don't know if you can tell from the above picture, but I have little bit of joy spilling over.